Millions of Americans and foreigners travel far and wide to see America in all its grandeur and beauty. This great Nation has some of the most majestic and beautiful National State Parks in the world, but what are the best National Parks in the Minneapolis area? Saving the most popular for last, these are the top 10 most visited state parks, according to visitor data from 2014, in Minnesota. Flandrau State Park, located in New Ulm, on the Cottonwood River, has views of marshes, woods and grasslands. For those who like to get close to nature, you can stay overnight in camper cabins or bunkhouses, and swim in their swimming pool that has a sand-bottom floor. The park claims a stretch of the Temperance River, including where it runs into Lake Superior, and is about 50 miles from Two Harbors. Cutting through large cliffs of Interstate State Park in Taylors Falls, the St. Croix River provides adventure for outdoor thrill seekers looking to kayak rapids, climb basalt rock left behind over a billion years ago from lava flows. 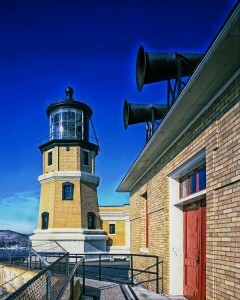 The most popular and well-known feature in the park is the Split Rock Lighthouse; during tours visitors are told of the lighthouse’s history. There are miles of hiking trails and a portion of the Superior Hiking Trail is in the park. Campers will find campsites with beautiful views to stay overnight. Explore ravines and limestone bluffs in the park’s 2,700 acres. Fisherman can spend hours catching that big trout out of the spring-fed Run Creek and Whitewater River, and the park has 110 campsites for those who like to sleep under the stars. Found not far from Duluth, the St. Louis River’s wild waters are the highlight of this park. You can ride horses, bike on trails or go hiking for hours. The Tettegouche State Park has trails leading to magnificent views of the Sawtooth Mountains and Lake Superior. Rock climbers are attracted to the park’s tall cliffs and those interested in waterfalls and experiencing Baptism River’s 60-foot falls. If you are looking to experience the Mississippi River’s headwaters, then you need to visit Itasca State Park. The park, sitting between Park Rapids and Bemidji, is 32,000 acres large and home to over 100 lakes. The park was established in 1891, and is the oldest state park in Minnesota and is the state’s most popular camping destination. Gooseberry River’s cascading waterfalls make this park a popular destination and the North Shores most popular park. There are an abundance of hiking trails for those who love hike, a section of the Superior Hiking Trail included. Mountain bicyclists can bike on the Gitchi Gami Bike Trail and camp near Lake Superior. The most popular park is nestled between the Mississippi and Minnesota rivers, and only minutes away from Minneapolis or St. Paul. Families can picnic in the park, and swim and fish in Snelling Lake. Bicyclists can ride trails through Pike Island, or on trails connecting to the Minnesota Valley National Wildlife Refuge and Minnehaha Park. There are many beautiful state parks in Minnesota; these are only a few of the best National Parks in the Minneapolis area. Check with your local travel bureau for information on other state parks in your area. In addition to being a proud resident of the Minneapolis area, I practice law as a MN DWI Lawyer.